So today I have decided to touch this most asked hot topic Class ab amplifier vs class D amplifier. 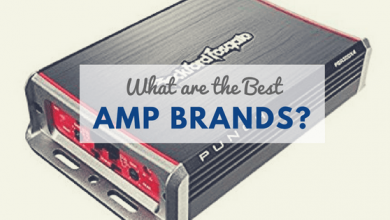 Most of the people are confused to choose the amplifier among this variety of amplifiers available in the market and wondering that which one is the best and which one they should select. So, here I will tell you about these both amplifiers and hope so that after reading this complete article carefully, you will be cleared in your mind enough to select the right one according to your demands. Class D Amplifiers have long been termed an un-musical and ignored for years. However, Class AB Amplifiers are famous for better sound. Let me tell here, Class D Amplifiers are the future and they are a better version of all classes. Not only they deliver better and enhanced sound along with being energy efficient. 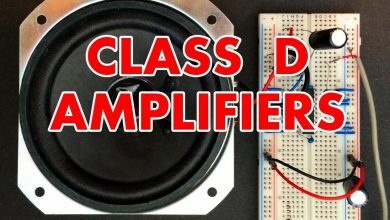 Here, I am going to present a comparison chart between these two amplifiers, Class AB and class D. So, in case of any kind of guidance related to these amplifiers you can check out this chart and if you do not know about these amplifiers and are confused between the selections, then this chart will help you anyway. This chart will help you to find out the clear-cut difference between the class AB and Class D amplifiers. Read this chart carefully to get the better idea and most of all it depends upon you people that which one amplifier you like the most. But if you are confused between them always, then this chart is going to guide you. Class A amplifiers are the most common type of amplifiers that are used widely. These amplifiers are the simplest ones among all of the available class amplifiers because they use only a single switch transistor and have a very simple emitter circuit configuration to generate an inverted output. These are the simplest designed circuits and having the pure power Class A amplifiers. Whenever you switch it on, it will give you all the power that is capable of delivering at the just moment when you turn them ON and they are at full blast all the time. They are very inefficient to produce power as they are ON or at their full blast all the time so they consume a lot of voltage and waste a lot of power and generated too much heat at the same time. While talking about the class B amplifiers, they have their active transistors that conduct half of the cycle of the input signal that means the conduction at the angle of 180-degree centigrade. So they consume a little bit of less power than that of the class A amplifiers and have their efficiency much more improved. Class B amplifiers have the maximum efficiency of 78.5 percent. They also create a lot of sound distortion that is their negative point. Single ended class D amplifiers are not found mostly in now a day products but was used earlier in the older gadgets or products. Read this guide if you are planning to add Bluetooth to car. Here I have enlisted few of the benefits of class b amplifier. Here is the list of disadvantages of class b amplifier. When we talk about the class AB amplifiers, what does that means, so let me tell you that it’s a kind of hybrid of both Class A and Class B amplifiers or you can say it’s a trade-off between Class A and B configuration. They are compromised on their efficiency and sound fidelity. Class AB amplifiers are a little bit less efficient than that of Class B amplifiers. The class AB amplifiers have their transistors slightly biased to the conduction angle, a little bit more than 180 degrees and much less than 360 degrees. They come in an affordable range and you can easily switch to A or B mode when you need. So it’s a pretty much cool stuff. They are a lot of examples of class AB amplifiers also, some of these will be given here, Crunch AB amplifiers, National Semiconductor audio AB amplifiers, Electronics Board JINGLUYAO AB mono power amplifiers etc. Class D amplifiers are also called as switching amplifiers as they completely get On and OFF. It is very much power efficient. It’s a pretty much cool stuff. These amplifiers give a very efficient operation. Most of all these amplifiers do not consume so much power and there is no issue of heat generation. A constant switching from on and off make these amplifiers like Taylor swift amplifiers. Filters are used inside the class D amplifiers will act like the coil’s wire and these will act just like the resistors at high frequencies, while wires will act on lower frequencies that are termed as inductors. So, a combination of capacitors and inductors forms the output filter if the class D amplifiers. Earlier the filter adjustment was not such a proper so that’s why because of this and a little bit of sound distortion, people think that these amplifiers are bad. But now class D amplifiers are the best among all other amplifiers. As you know all the things don’t have their perfect end. Everything has it some flaws upon which one should have to sacrifice and have also had their pros definitely, over which a person’s liking and disliking matters a lot. So I just want to say that Class D amplifiers are much better than that of other amplifiers. It’s no doubt to say that the future will be of class D amplifiers. 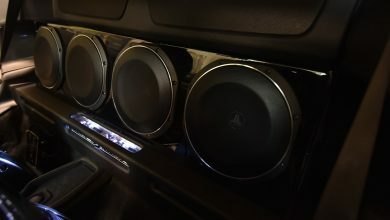 These are the best running amplifiers but all you have to do is to set the energy in its input and output state properly, the power supply and other factors. Many of the people love using these amplifiers and many people have the misconception that these are the bad amplifiers because firstly these amplifiers were creating distortion in their midrange and treble. But now a day market is full of affordable and high quality and perfect class D amplifiers. Actually, these are the main and must things in good amplifier that it should not waste all its power and produce no distortion and never compromise on the sound fidelity. Along with this, no one amplifier can be compared with the high efficiency of class D amplifiers. So, finally, I would say that which amplifier would you are going to buy depends completely on your choice as a choice is completely a personal thing and everyone has his own likings and disliking and most of all, preferences depends upon the product’s benefits and that’s all. what I am telling you genuinely about both of these amplifiers in a very simple way so that you may get the better idea about these amplifiers. 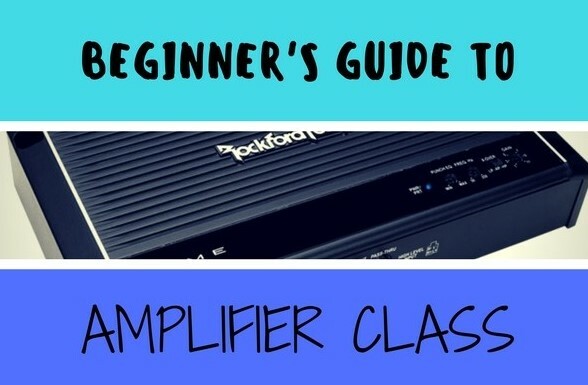 As a common person who does not much understanding about the amplifiers and is not related to that field, can also easily understand from this simply explained article. So, class ab amplifiers are also good and having no sound distortion but they do not works good under heavy loads and are less efficient but if this thing doesn’t bother you than you can take this amplifier for sure. While Class D amplifiers have very much efficient, consumes less power, small size and ultimately less power loss, and marvelous bass controls but a little bit of sound distortion. So if you are looking for a highly efficient amplifier along with other amazing advantages, then you should definitely go for Class D amplifiers that are also called as switching amplifiers and this technology is still refining day by day. Finally, after giving this article; a complete and clear view, make the best selection of the amplifier and enjoy the perfect and worth listening music to release your whole day stress and enjoy your own while turning the amplifiers on. I think that really I have given much to you about this controversial and hot topic and hope you guys will found this very much understandable and informative. Select the right one and do the fun.